Omega introduced its Speedmaster line of chronograph wristwatches more than 60 years ago, but it really earned its iconic status when it was used by NASA astronauts during the Apollo moon missions. Since then, it’s become one of the brand’s mainstay collections and has apparently won an important spot in collectors’ hearts as British auction house Fellows just sold a vintage Omega Speedmaster for about £90,528 ($163,000) at its October 30 Watch Sale. The Speedmaster in question was a model dating back to 1960 that blasted past its presale estimate of between approximately $16,000 and $25,000. It carries the reference number 2998-1, which indicates that it is an early example. The watch is equipped with a stainless steel case paired with a chocolate brown dial—a rarity—with luminous hour markers. 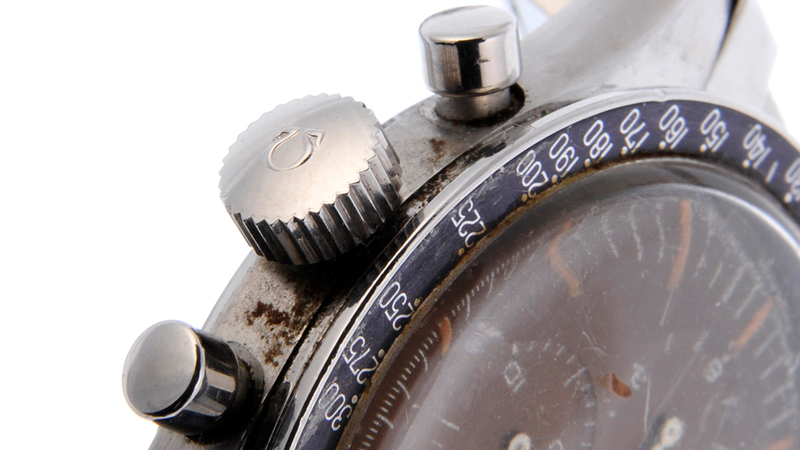 The black bezel features a tachymetre scale and the chronograph function is read using subdials at three, six, and nine o’clock. 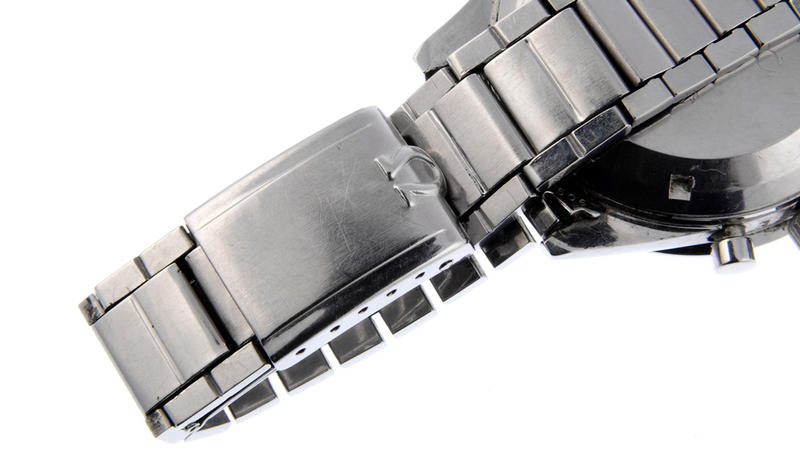 It is affixed to a stainless steel bracelet with a folding clasp. When the watch hit the block, a bidding war broke out between several phone bidders and an internet bidder. 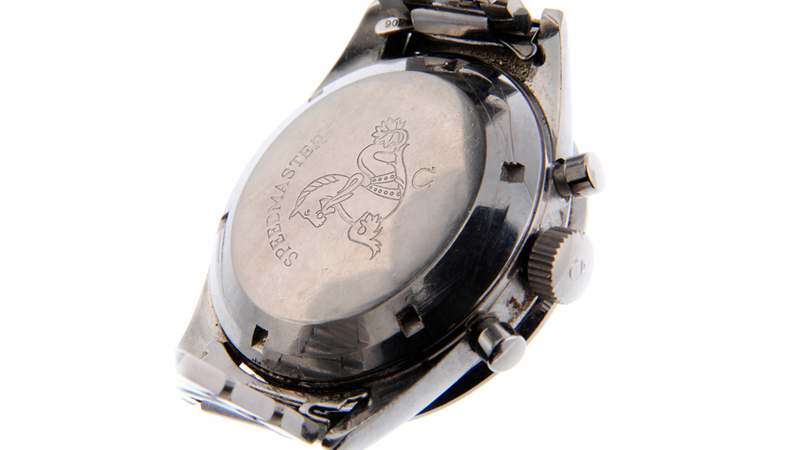 To the shock of the crowd present at the auction, the price of the watch climbed for almost five minutes, eventually going to the online bidder. And while the record-setting Omega is certainly exciting, it’s nothing new for Fellows. Last year at the company’s November Watch Sale, it sold a Rolex Milgauss for almost $205,000, setting the auction house’s record price realized for a Rolex, and earlier this year, it sold a Rolex that was worn by Timothy Dalton in License to Kill. That said, the auction house will have another chance to score big on November 27, when it will hold its last big watch sale of the year. And while the catalogue of lots has not yet been released, we’ll be sure to keep our eyes on it.